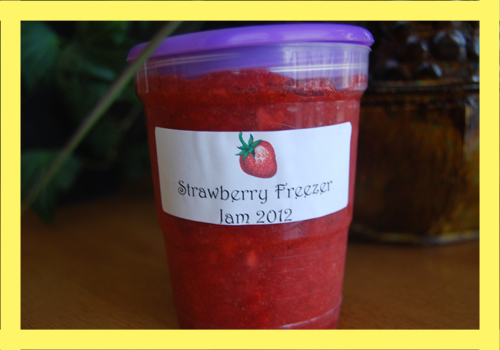 Making strawberry freezer jam is embarrassingly easy! If you have never made your own jam this is the place to start. The quality and price should prevent you from ever purchasing jam again! Especially if you make it in the spring when the strawberries taste the best and are on sale. 1- In a medium bowl combine sugar and pectin, stir well and set aside. 2- Wash, hull, and crush your strawberries. I pulse mine in the blender but if you want your jam to be extra chunky use a potato masher. 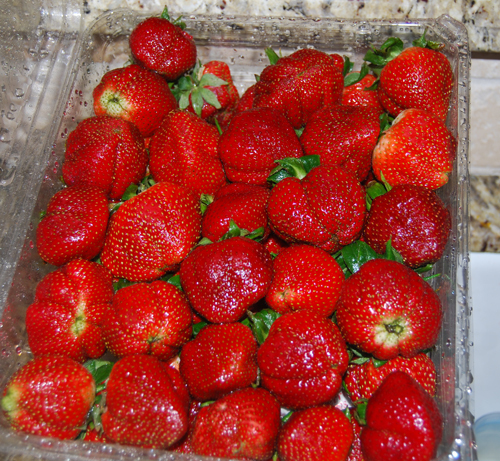 3- Add strawberries to sugar/pectin mixture and stir constantly for 3 minutes. 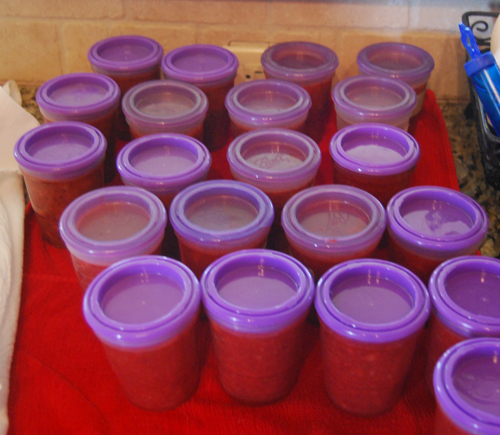 4- Ladle jam into freezer jars and secure lids. Let stand at room temperature for at least 30 minutes to allow the jam to thicken. Yup! That’s all there is to it. So easy you can have the work done in 15 minutes flat AND you haven’t made the kitchen a disaster! If you like jam at your house as much as we do at mine I recommend making a double batch. This entry was posted in On the Stove and tagged Freezer, Preserving.